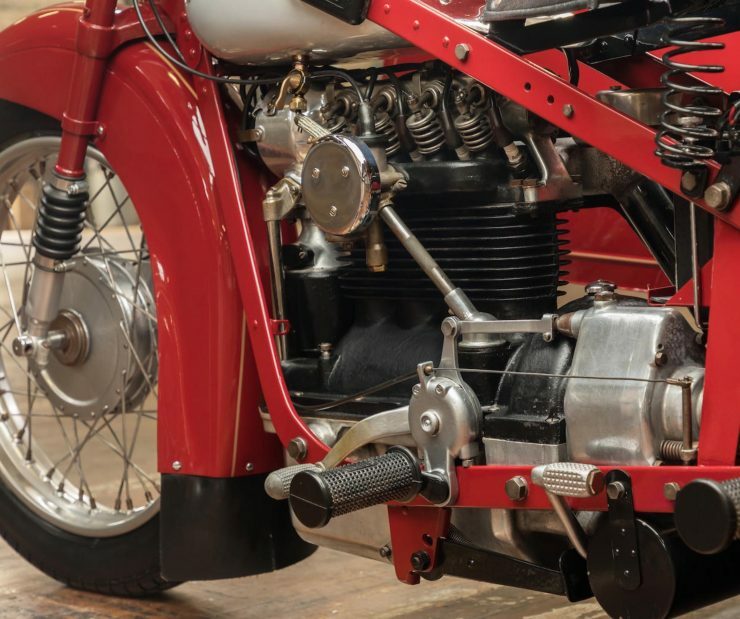 This was Steve McQueen’s Nimbus Model C motorcycle – an unusual and quite advanced bike from Denmark characterized by its inline-4 cylinder engine with a single overhead cam and the distinction of being one of the first motorcycles to be fitted with telescopic front forks. 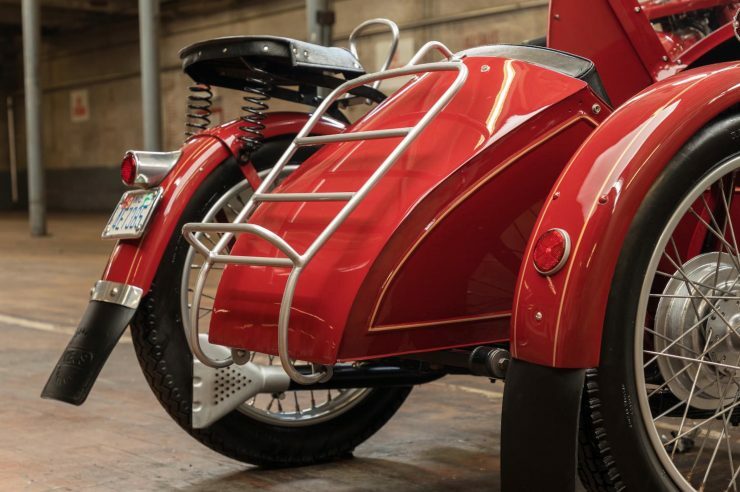 The Nimbus Model C is one of the most distinctive motorbikes of its age, exuding art deco styling with its gleaming fenders, a shapely color-coded frame, a low slung seat and swept back handlebars. 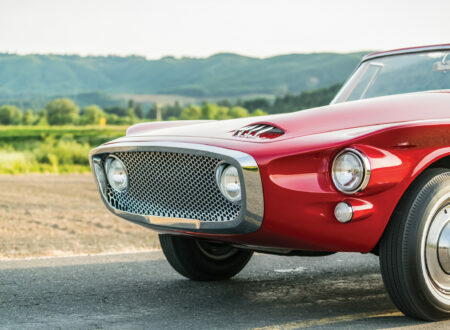 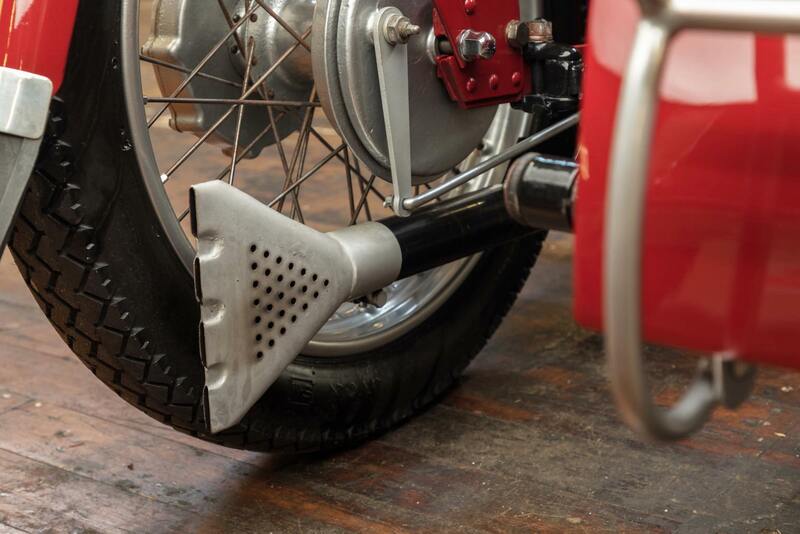 Though the styling was world-class the real secret to the success of the Nimbus was its engine. 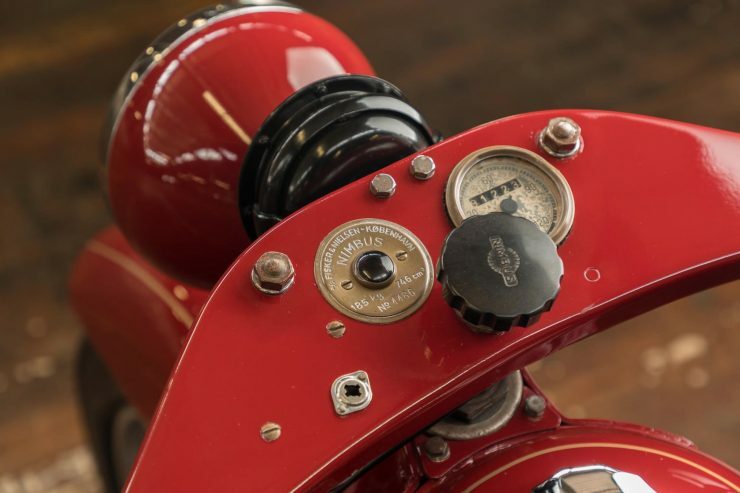 It was designed in 1932 by company co-founder Peder Fisker and his son Anders, their goal was to develop a motorcycle engine that would power the company’s next model, and it had to be as extensible, reliable, and advanced as possible. 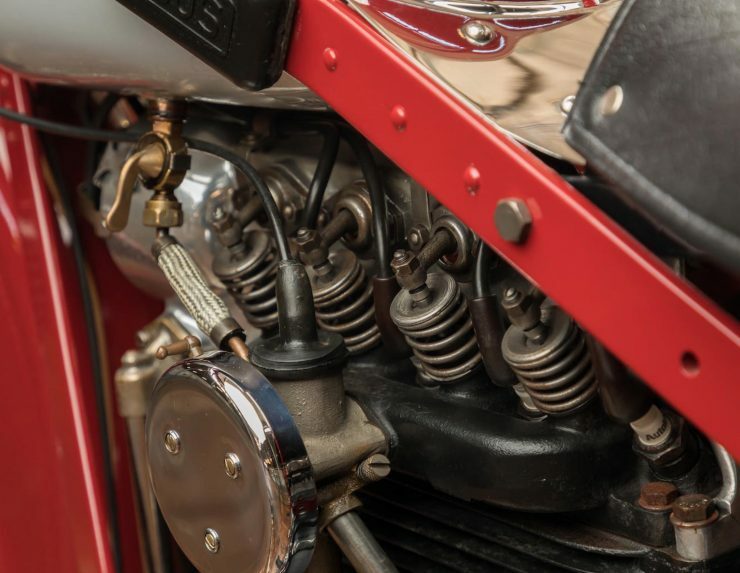 Nimbus was already famous for inline-4 cylinder motorcycles, their first model was fitted with a slightly more primitive example, though it built up a good reputation for reliability and ease of use over its 1919 to 1926 production run. 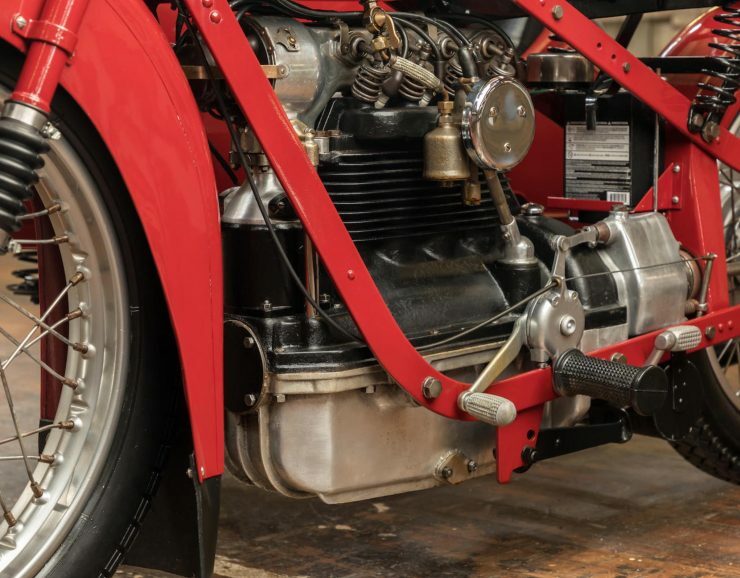 The Nimbus Model C was developed from a blank slate, with an all-new inline-4 cylinder engine that featured hemispherical combustion chambers, an overhead cam, a displacement of 746cc , an integral crankcase and cylinder block of cast iron with a detachable alloy sump, and a shaft drive to the rear wheel. Interestingly the Nimbus would be one of the first motorcycles to use a telescopic front fork, appearing less than a year before the BMW R12, though in fairness the BMW forks also had hydraulic damping. 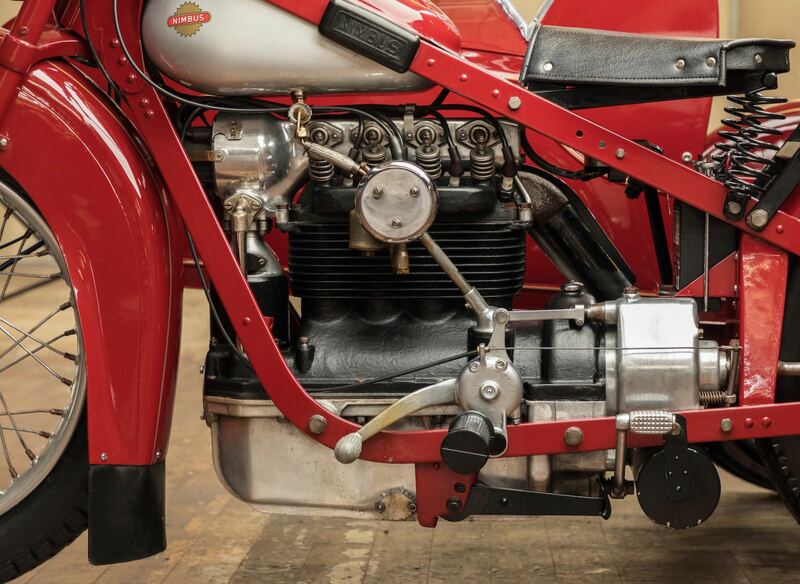 The Brits over at Scott motorcycles were the first – using telescopic forks all the way back in 1908. 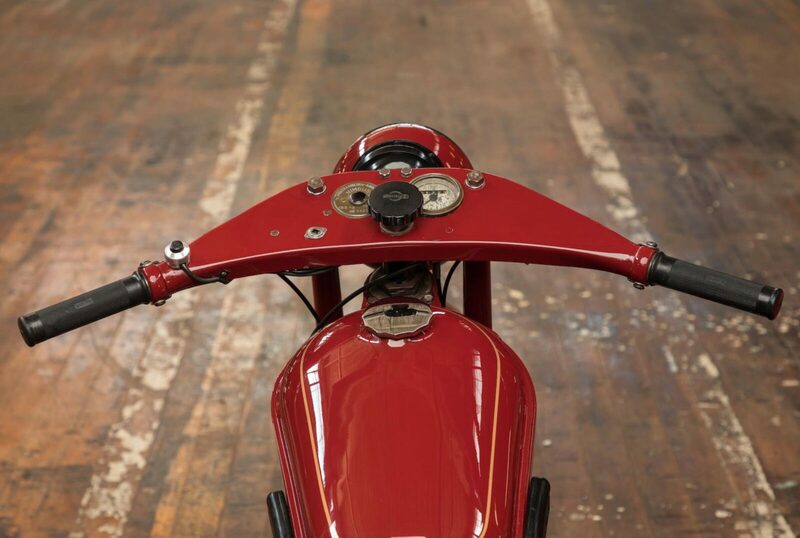 Rather than use expensive steel tubing, the Fiskers developed a frame using 40mm x 8mm steel flat bar using rivets to join them. 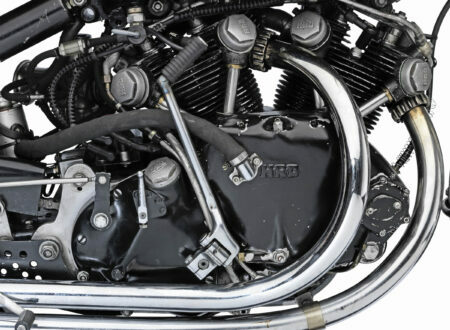 The fuel tank sits between the top frame rails above the engine and as was common at the time, there’s no rear suspension just sprung saddles. 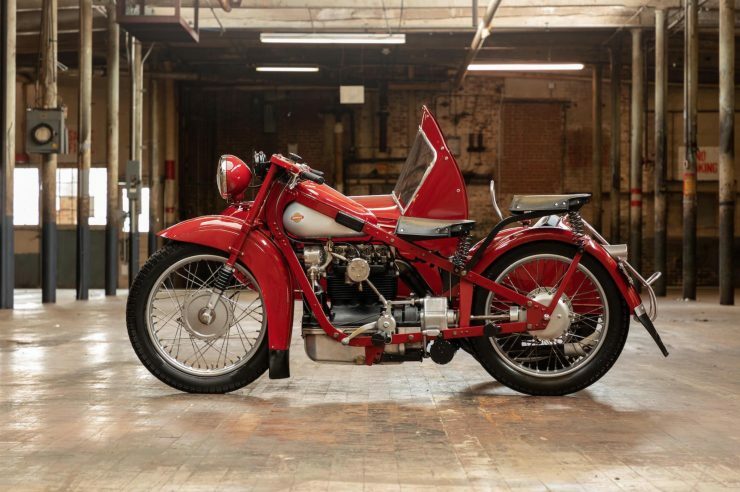 Upon its release in 1934 the Nimbus Model C quickly became the best selling motorcycle in Denmark, it was a homegrown hero loved by the general public, as well as the local police forces, military, and postal service. 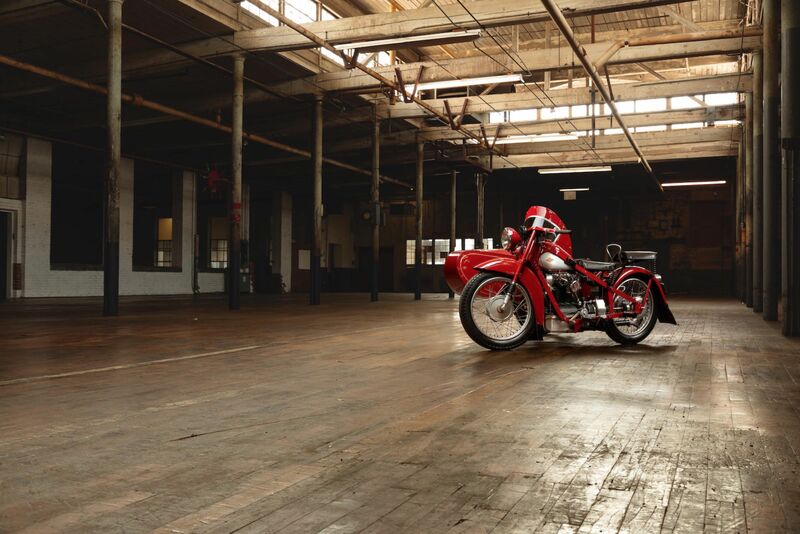 So popular was the Model C that it would stay in production until 1959 when the final batch of military motorcycles were delivered. 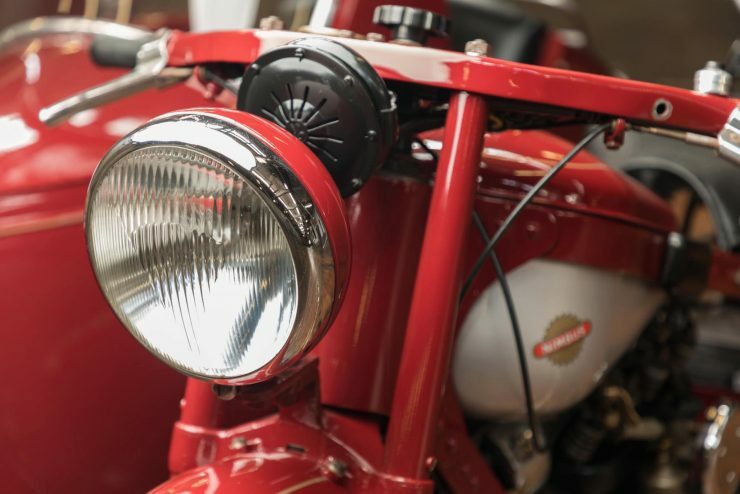 In all over 12,000 were produced, a significant figure for the time, and today there are still over 4,000 of them road registered in Denmark with many more around the world. 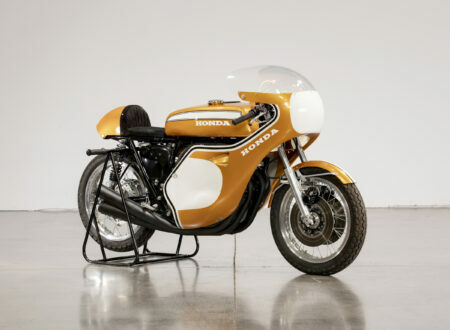 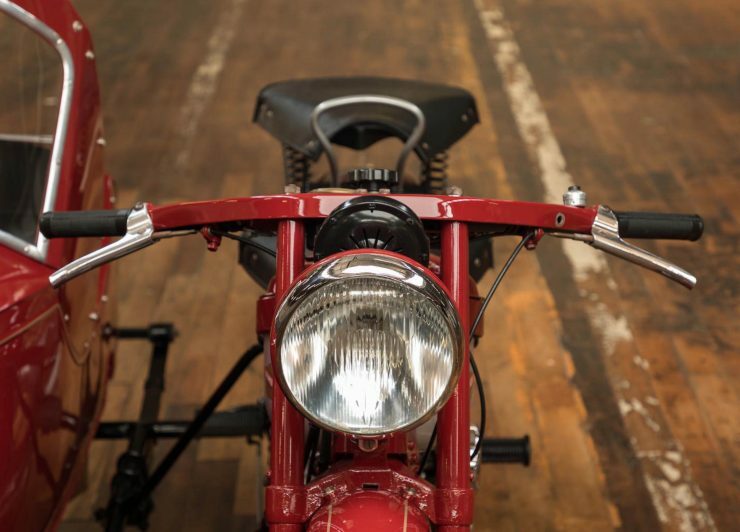 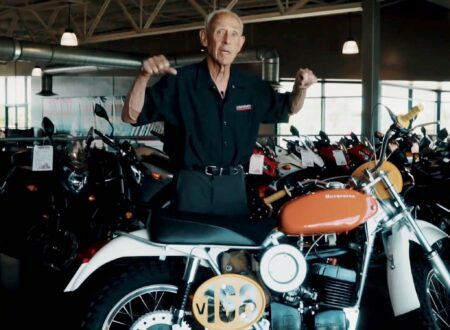 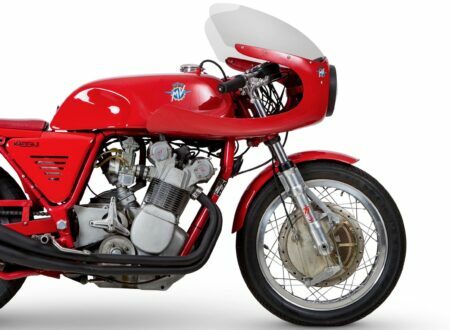 The Nimbus you see here is one of the most special examples of the Model C in the world – it’s the one that belonged to Hollywood icon and motorcycle racing legend Steve McQueen. 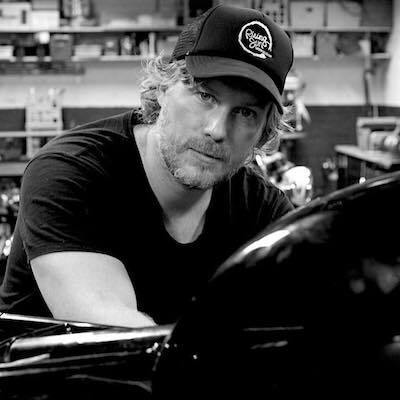 It’s not known when McQueen bought his Nimbus but his love of motorcycles was well-known, particularly vintage motorcycles from the 1920s and 1930s. 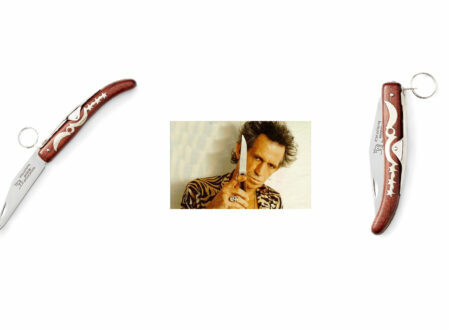 What we do know is that once he bought this Nimbus he never parted with it, and it was still in his collection in 1984 when it was auctioned off after his untimely passing. 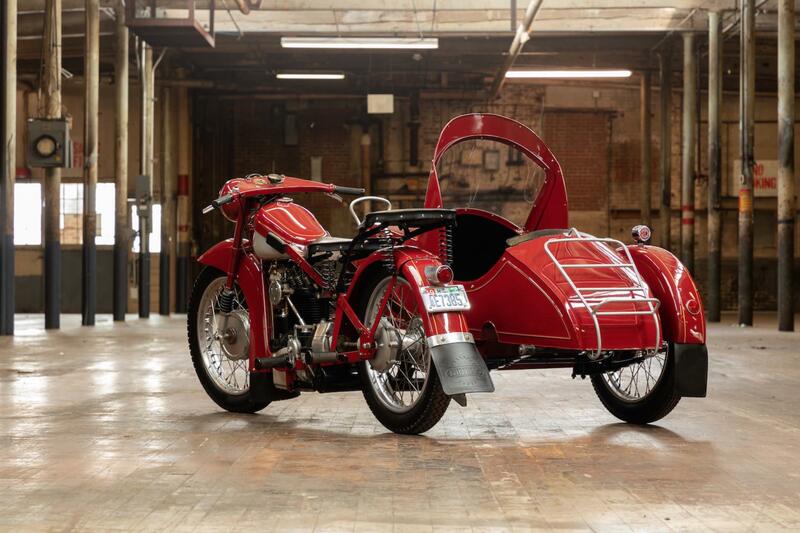 It’s now being offered for sale with its original patina intact, though it was refreshed over the years great pains were taken not to remove the character the bike had built up over the years with its illustrious former keeper. 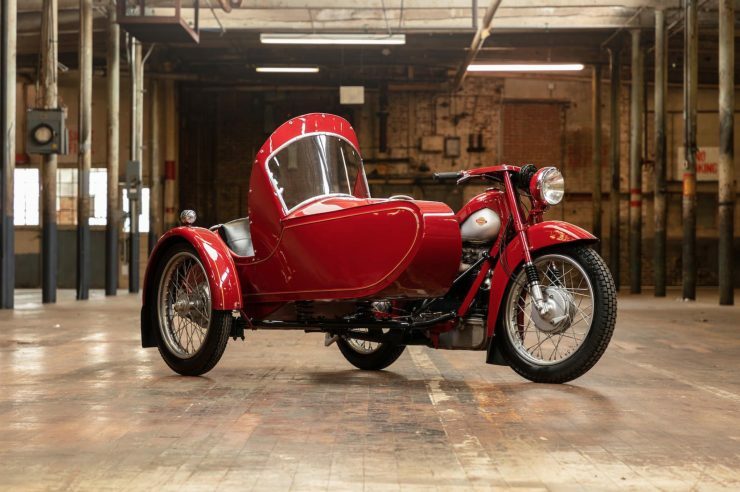 The Nimbus Model C was commonly fitted with a sidecar as its 18 – 22 hp 750cc engine was far more capable than most, making it ideal for powering the additional weight. 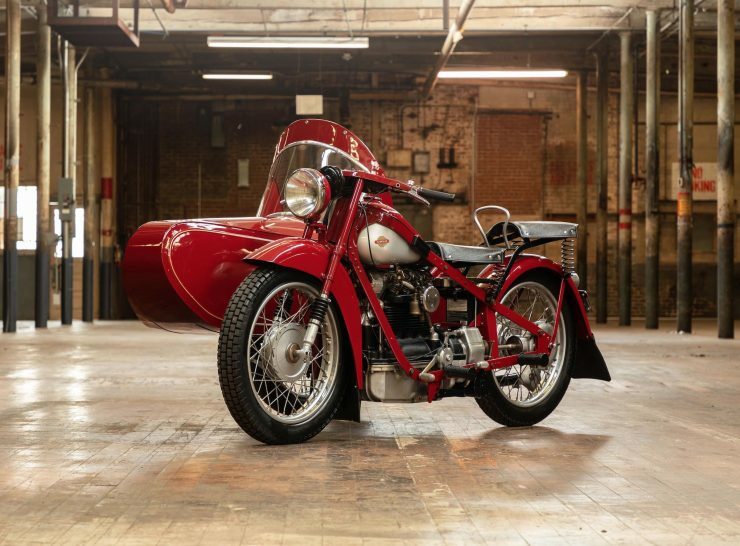 McQueen owned a number of motorcycles with sidecars attached and he obviously had a soft spot for them. 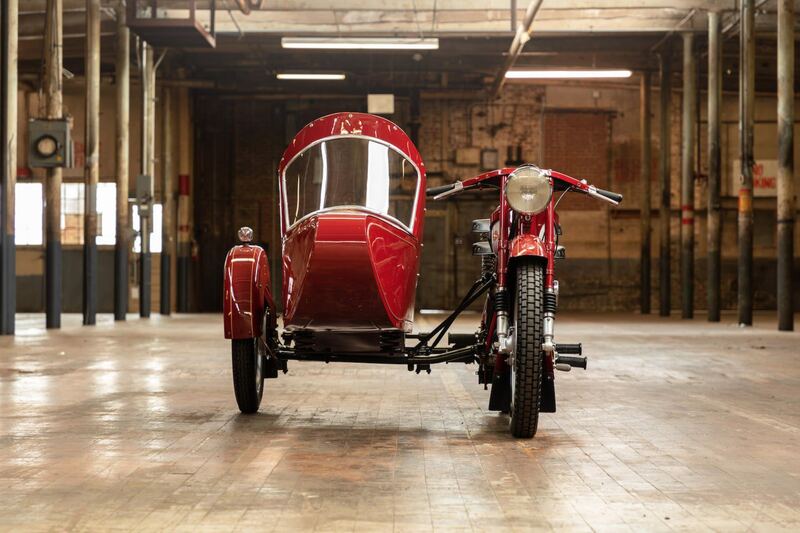 If you’d like to read more about this Nimbus or register to bid you can click here to visit the listing, it’s due to be auctioned by Bonhams on the 6th of October.